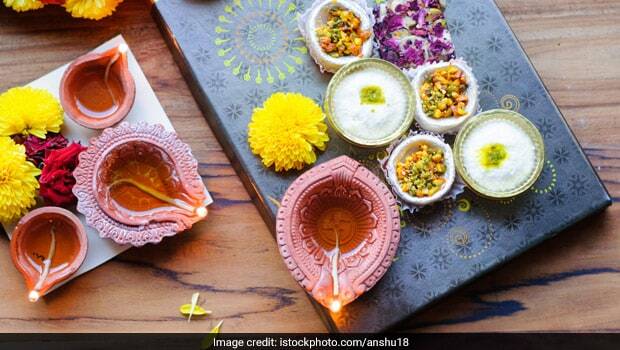 Diwali is just around the corner and Hindu families around the world are getting ready to celebrate the biggest festival of the year. Deepawali is a great time for togetherness and is also a celebration of the good things in life – relationships, food and revelry. A big part of Diwali celebrations is the exchange of gifts between friends and relatives. Usually, people prefer giving gifts that include something sweet and decadent, which are usually ladoos, mithais or nuts and dried fruits. However, Diwali gifts have now evolved to include more mindful and thoughtful eatables, which are not just delicious but also nutritious. A number of hospitality brands have started promoting gift hampers, which are customised to the needs of a whole family as well. Your options for choosing Diwali 2018 gifts are a dime a dozen and come festive season, you may be spoilt for choice. If you wish to pamper your loved ones with a truly royal Diwali, Pullman’s luxury gift hampers are available at Cafe Pluck at New Delhi Aerocity. The hampers contain tea deli, homemade cookies, cake loaves and chocolate bars, assorted nuts, flavoured honey, as well as novel food items like wasabi coated peas. Moreover, there are decorative items like candles and torans to choose from. The hampers start from Rs. 1500 (plus taxes) and go up to Rs. 10,500 (plus taxes). Hotel Sheraton Hyderabad is offering Diwali hampers and goodies, which are available at Cafe Link of the hotel. They have an extensive range of food, wine and gift hampers that are ideal for corporate and personal gifting. They also have a range of bespoke hampers, which can be customised according to your personal preference of champagne and wines, paired with sweet and savoury delicacies. If you’ve been looking for unique and budget options to gift your friends and families on Diwali, then Sattviko’s range of Diwali hampers is just what you need. Currently available in eight cities across India – Delhi NCR, Mumbai, Pune, Bangalore, Hyderabad, Udaipur, Kolkata and Indore – Sattviko’s gift hampers contain quirky and nourishing eatables, which your family is sure to love. Items in Sattviko’s Diwali hampers include ajwaini flaxseed jar, pan raisins jar, gur chana jar, pudina makhana, pizza khakra chips, etc. The hampers can be ordered from Sattviko’s website online. Rashmi Prasad is a home baker, who is delivering home-baked lucky cookies across Delhi and NCR during Diwali. The gift packs start from Rs. 499, while she is also delivering a range of other delicious desserts, including brownies and Diwali cakes. Contact Rashmi at 9871675971 for all the details about the full range of Diwali goodies. Natasha Minocha of Tasha’s Artisan Foods in Gurgaon has curated a number of healthful and delightful Diwali gift hampers containing goodies that range from granola bars and nut bars to cakes and cookies. Orders for the hampers can be placed from their official website, for anywhere across Delhi and NCR. Alternatively you can contact them at 9999488319 or [email protected] for ordering. Shivani Malik is a food entrepreneur and the owner of Mother’s Kitchen, which specialises in gluten free and vegan goodies. Her special Diwali hamper contains delicious gluten-free products, including protein power balls, coconut and almond cookies, and rose and dry fruits health bars. To place orders and find out more about delivery locations, contact her on 7217778752 or email at contact @motherskitchen.com. Confection Connection in Dwarka specialises in handmade chocolates and truffles and they have a range of gifting options for corporate or personal gifts. The hampers start from Rs. 319 onwards and contain delicious sweet delicacies like flavoured chocolates, biscuits, rose bars, chocolate coated nuts, etc. Orders can be placed through their Facebook or Instagram pages or by ringing them up at 8684934236 or 8076338777. So, what are you waiting for? Start the shopping already!